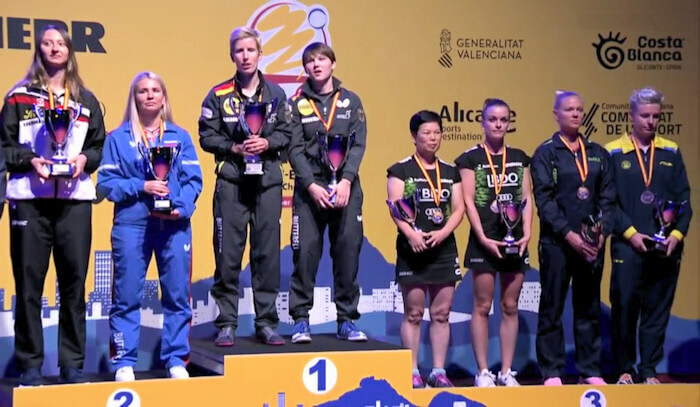 The Royal Spanish Table Tennis Federation won the right to host the European Championships in 2018 following their successful bid to the European Table Tennis Union. But it was in 1958, in Hungary, that the European Championships first took place and you can read all about the history of the championships, and get previous results, here. Initially the Championships were a biennial event, taking place in even numbered years, but now it's held annually during September/October. So where was it held? 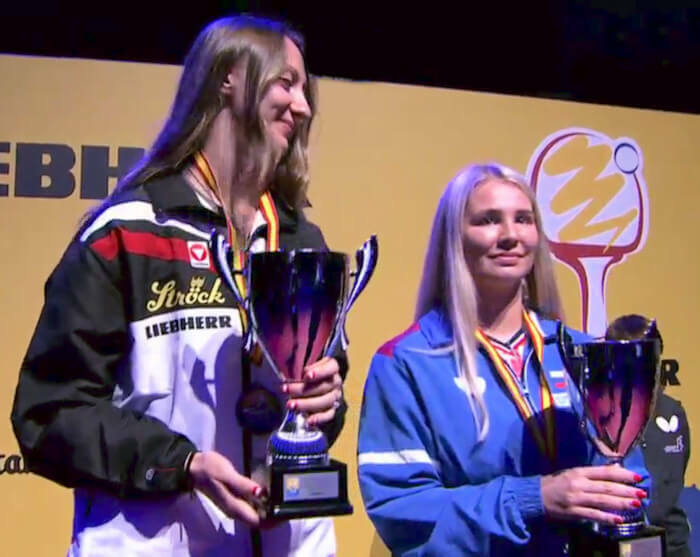 The 2018 European Championships are being played at two venues. C/ Foguerer Jose Romeu Zarandieta, 03005 Alicante, Spain. 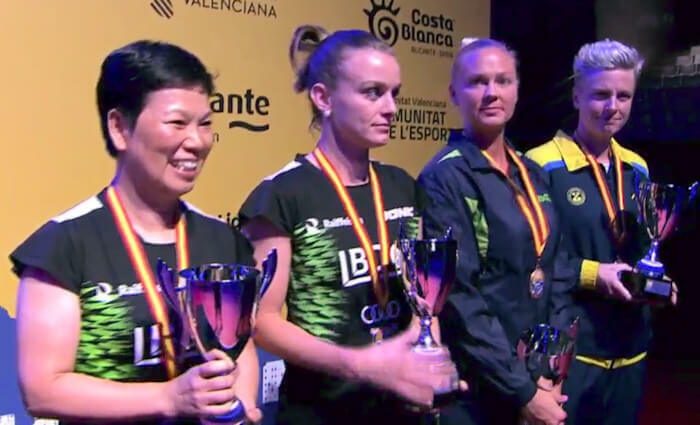 The maximum entry for each Association was 4 players for women's doubles, but doubles pairs could be formed by players from different Associations. There were a maximum of 32 places in the first round proper for the women's doubles. 16 seeded pairs were directly placed in the first round proper whilst all remaining pairs play in a knockout qualification stage. The main event was played as a knock-out competition. Matches in the qualification stage were the best of 5 games whilst matches in the main event were the best of 7 games. The draw took place on Sunday 16th September 2018. 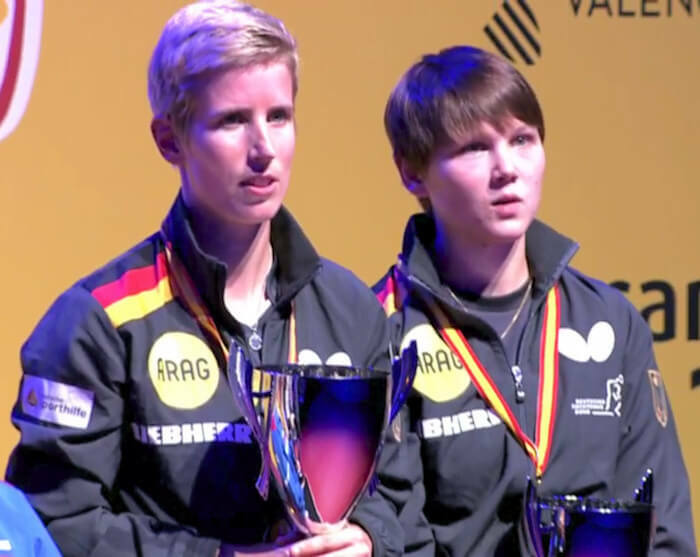 The Women's Doubles were last held in 2016 in Hungary and the winners were Kristin Silbereisen and Sabine Winter (Germany), and the runners-up were Shan Xiaona and Petrissa Solja (Germany).